June 9, 2017 August 25, 2017 - by HAHAPPY - 10 Comments. 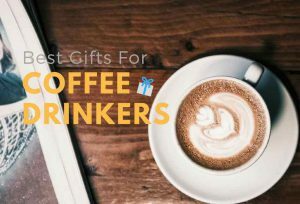 We have just revealed an ultimate list of 28 Super Cool Gifts For Marvel Fans. 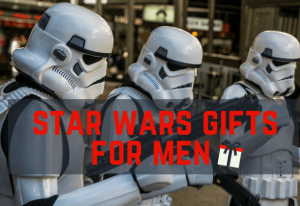 Whether it’s a Captain America Watch, Iron Man Helmet, Deadpool Backpack, Spiderman Cufflinks, or Hulk Mug, HaHappyGiftIdeas picked the best Marvel gifts for the Superhero Fans in your life. Discover a range of gift ideas for Marvel fans and buy one of these cool gifts today! Save the location from the evil grasp of villainy with your favorite Avengers! 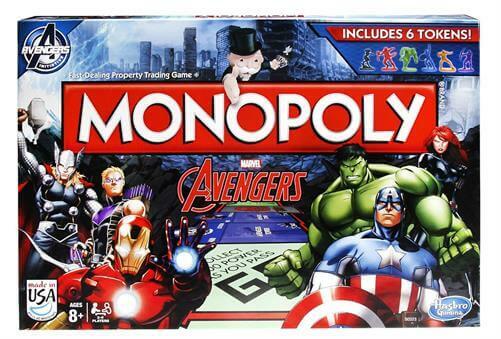 This monopoly game is just like the original property game – but with an Avengers twist. Get closer to the action of Captain America with these 3D Night Lights! 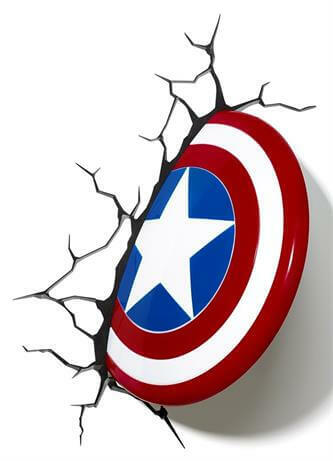 It gives the appearance that the Shield of Captain America has smashed through the wall. All Lights are LED, a perfect gift for any Avengers Fan. 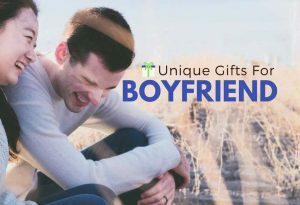 Pamper the superhero in your life in this holiday season. 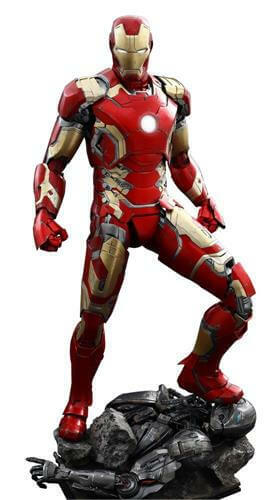 It’s the right time to add the most detailed 1:4 scale Iron Man Collectible figure to his prized collection! Iron Man fans shouldn’t miss this sophisticated Figure! Marvel fans appreciate all things about superheroes – not matter the size. 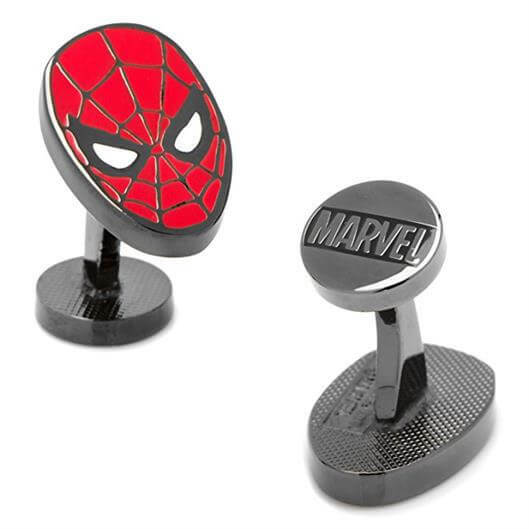 These Spiderman Cufflinks are perfect for all Spiderman fans to show their loyalty to their favorite superhero. Let’s get the Hulk on! 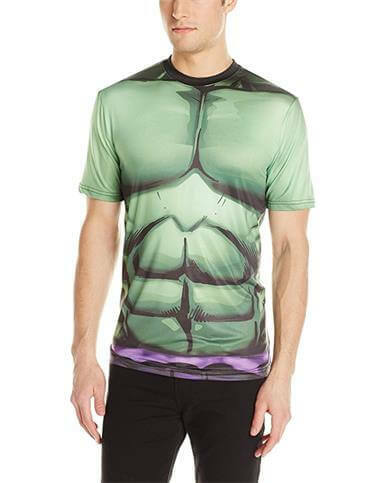 Hulk fan will definitely love this Incredible Hulk Men’s Verde Rock T-Shirt. It’s made of 100% Polyester with very comfortable and soft touch. Follow the famed exploits of Captain America down to the second! This Captain America Exclusive Watch is sure to be one of the best marvel gift ideas for him. Perfect size, Perfect color, and Looks great! 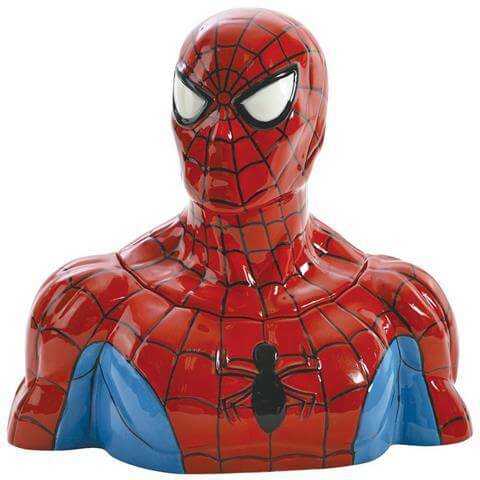 This cool and fun cookie jar is vibrantly colored and features your favorite hero: Spider-Man. It is made of ceramic material. Bright, cheery, and eye-catching. 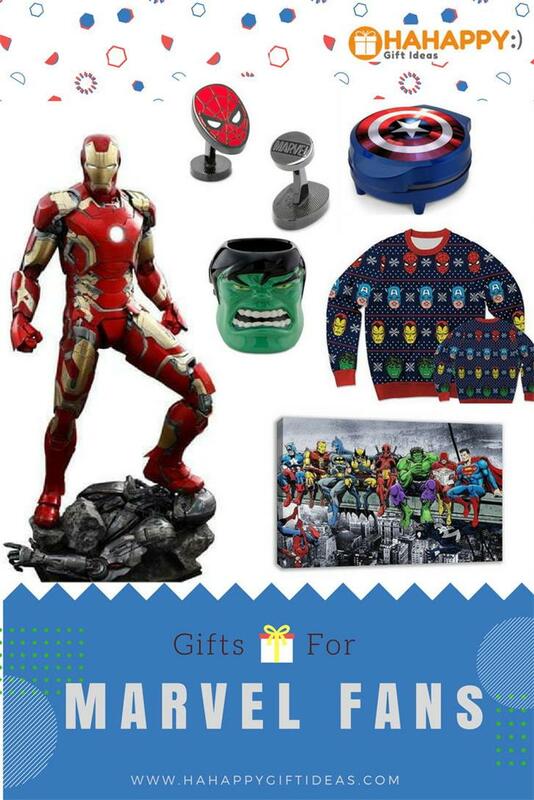 Perfect Marvel gifts for someone who wants to fight for justice or protecting civilians as Iron Man. 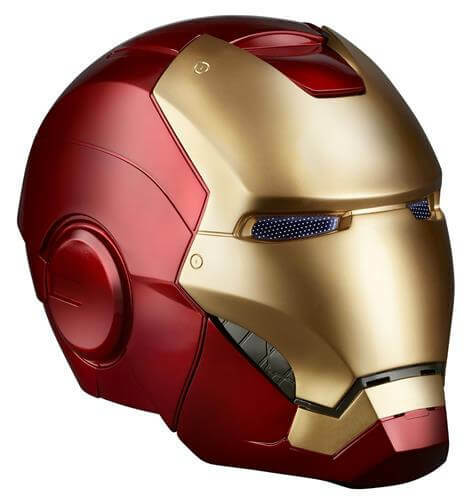 Impress the Marvel fans on your gift list with this premium 1:1 full-scale Marvel Legends Iron Man Electronic Helmet. Wake up with Marvel Superheroes! 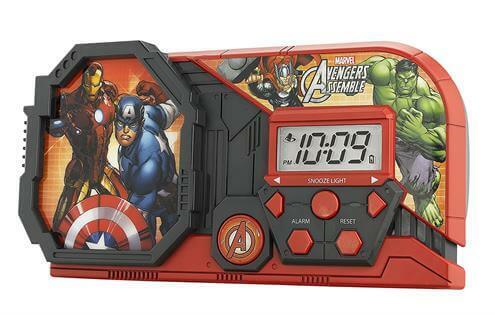 The super cool graphics of this awesome alarm clock will be cherished by any Marvel fan. From the movie to your bed, the Avengers always have your back. This unique Marvel DC Comic Superheroes Canvas Art is perfect for the superhero fan who has everything. Captain America, Ironman, Batman, Deadpool, Wolverine, Hulk, Flash, Spiderman, and Superman! 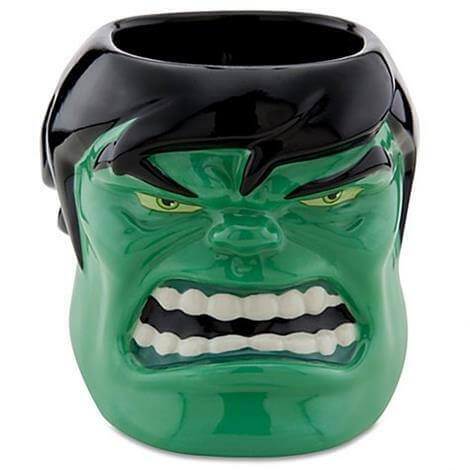 This three-dimensional coffee mug is shaped just like the angry green monster, HULK! It is made of ceramic and with contrasting interior hand-painted color. 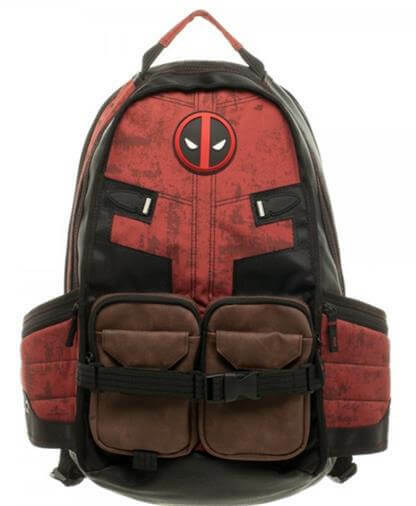 This Marvel Laptop backpack is the coolest way to carry your laptop and all necessities with the style of Deadpool, without actually letting Deadpool near your computer. 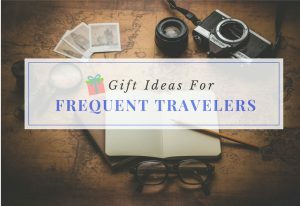 Perfect for school or travel. 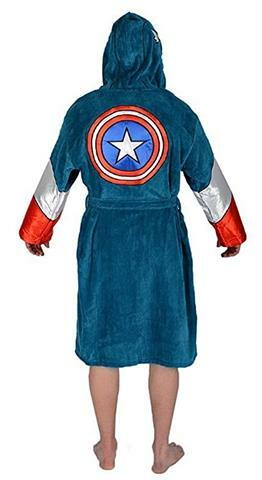 If you’re looking for Marvel gifts for your boyfriend, give him this Captain America Bathrobe and let him become one of the greatest soldiers in US history. It is made of 100% Fleece with embroidered designs. Cute, Fun and Soft. 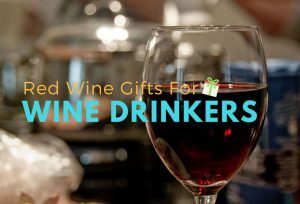 These four glasses are an attractive way to enjoy a refreshing beverage in the coolest style. 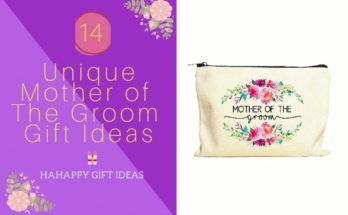 Great for every day or decorative function. The full coverage art is vibrantly colored, bright and eye-catching. These glasses are completely BPA free. Ideal for the biggest fan of Marvel to resemble themselves as their all-time favorite Avengers. This incredible bracelet will surely polish up your appearances and outfits whenever you go. All your favorite Marvel Superheroes unite to keep your money safe. 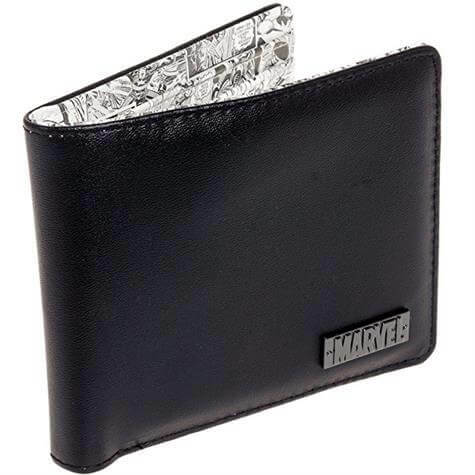 This Marvel Retro Interior Print Bifold Wallet features a durable exterior with Marvel logo embellishments and retro interior with comic print. 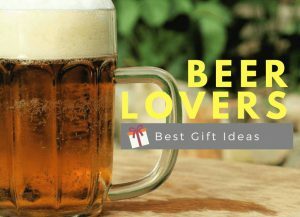 Need a marvel gifts for dad who loves to cook? 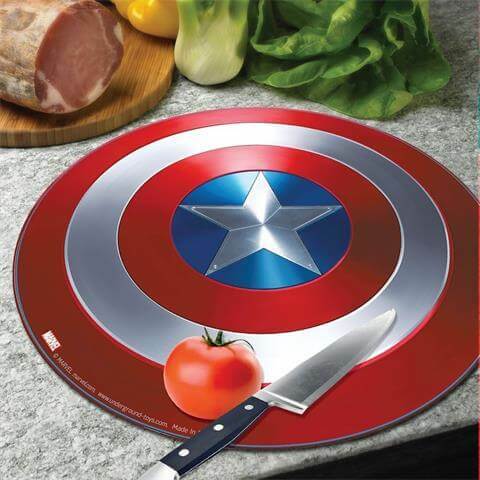 Give him the Marvel Avengers Captain Tempered Glass Cutting Board and add some fun to his kitchen. Dishwasher and food safe. Show your love for Ironman by wearing this Ironman Stainless Steel Chain Pendant Necklace wherever you go. 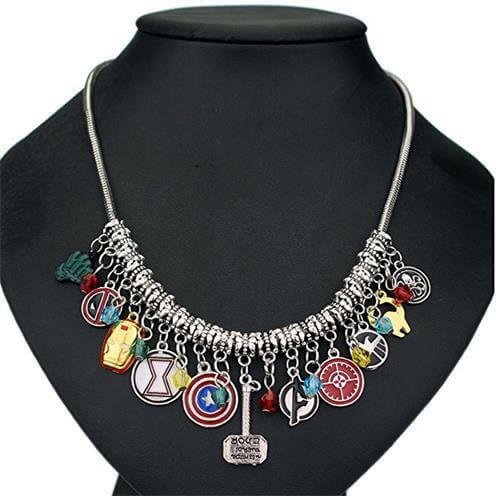 This beautifully made necklace is perfect for any Marvel fan! The pendant came with a 24-inch chain necklace and presented in a Marvel themed gift box. 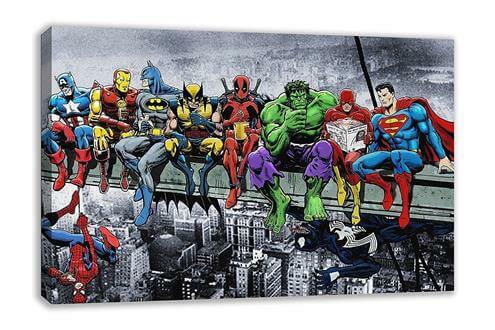 Your favorites superheroes can be now found in your home. 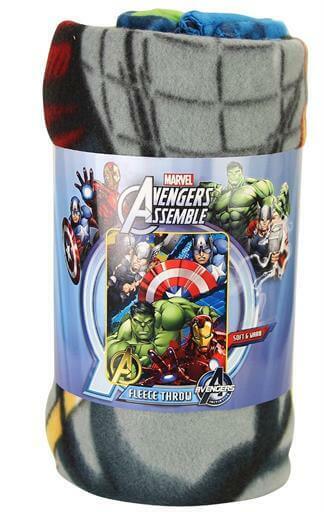 This Marvels Avengers Defend Earth Fleece Throw is super soft and comfortable. This Blanket is not only cool with its vivid design but also functional. It is perfect for Naptime, movie nights, and sleepovers. 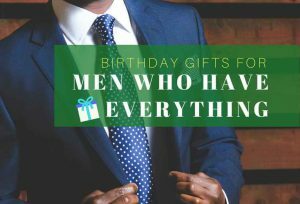 Need a Marvel gifts for girlfriend? 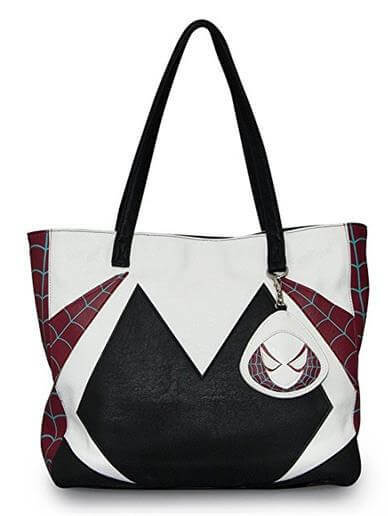 This Loungefly Marvel Spider-Gwen Tote Bag won’t give her cool powers, but it will make her look cool. Best of all, it comes with a charm in the shape of Gwen’s masked face. Start your morning with Captain America! This awesome Captain America’s shield waffle maker bakes waffles that shaped like Captain America’s shield. Fun, Cool, and yet Delicious. 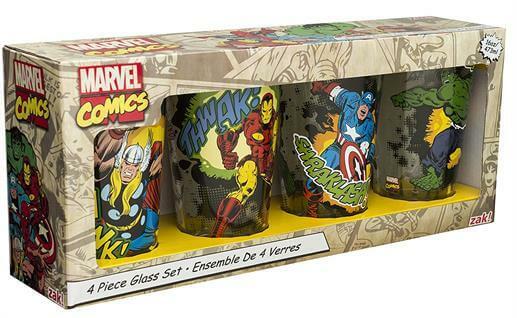 Looking for gift ideas for your little Marvel Fan? 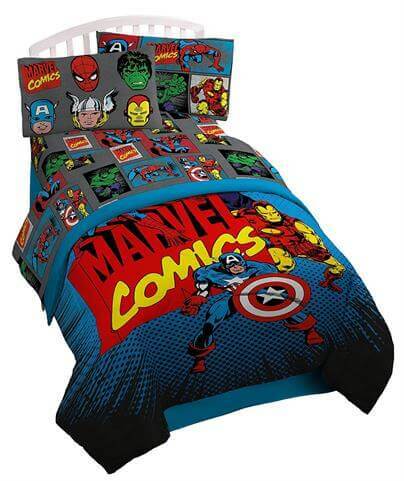 This Marvel Superheroes Microfiber 3 Piece Twin Sheet Set will make any kid smile. 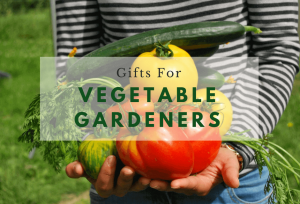 The set includes a flat sheet, fitted sheet, and one standard reversible pillow cases. Hulk smash! 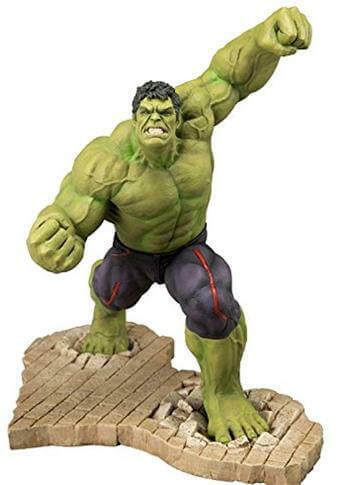 This statue captured Hulk’s never-ending anger with fantastical details of his fierce facial, sinews and veins sculpt. Every Fan of Hulk will be tempted to place this angry wrecking machine into their collection. Make Deadpool come to life! 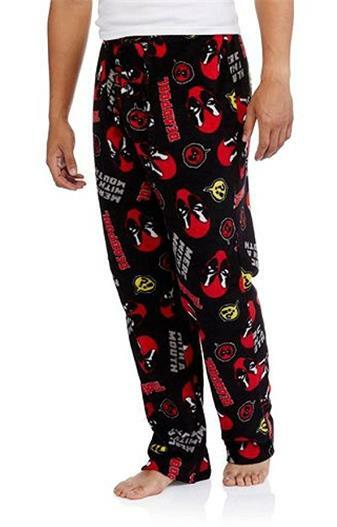 He will love these soft plush fleece sleep pants featuring Marvel Deadpool logos and phrasing. It features a plush drawstring waist and button fly. Warm, comfortable, and cozy. This Avengers Word Art Print Four Set is made entirely out of words! 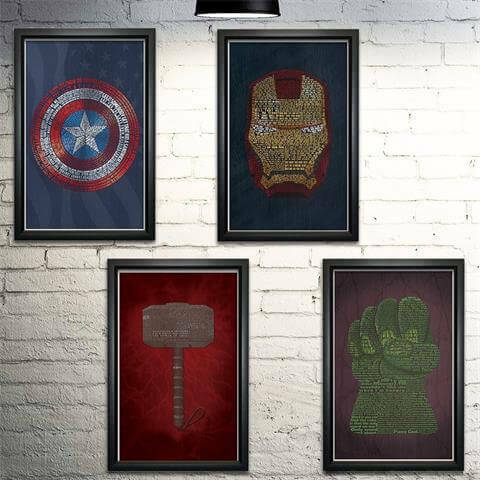 Each print represents one of the four famous Avengers: Iron Man, Captain America, Hulk, and Thor. The images of each Avengers are formed with quotes from their solo movies. There’s no reason not to get this Marvel Avengers Ugly Sweatshirt to your Marvel friends! 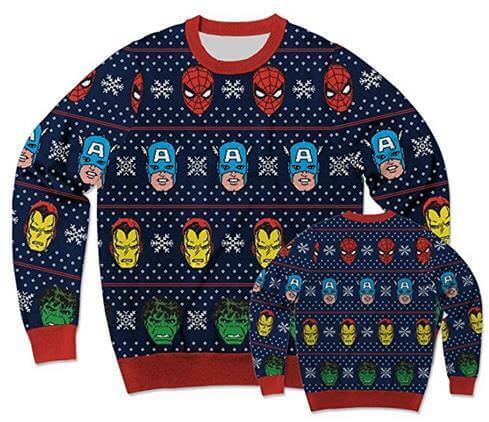 It is a great vintage style sweater designed some of Marvel’s greatest heroes and snow pattern. 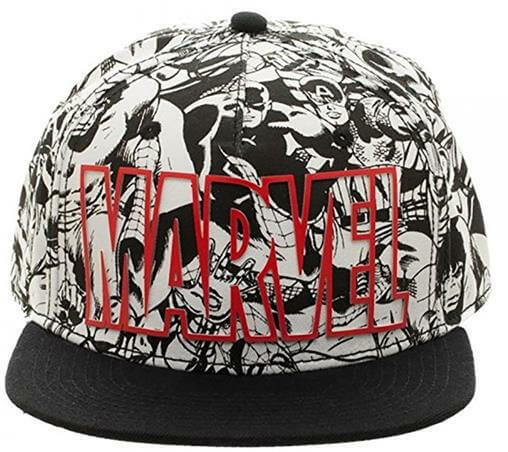 This cap is the perfect gift to the collection of the ultimate Marvel fan! This Black & White all over printed Snapback Hat features a beautifully made 3D embroidered Marvel text logo in red on the front panel. 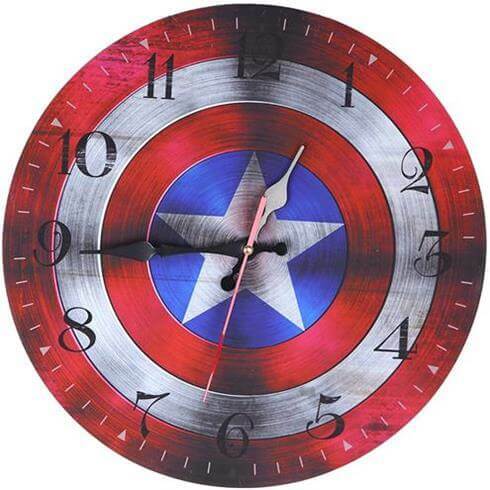 Decorate your home with this Captain America wall clock, and it is a great addition to any fan of Captain America. 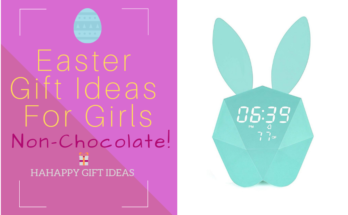 Perfect clock for living rooms, dining rooms, bedrooms, or kitchen. It was like fate finding this post! My family and I are big Marvel fans, especially my daughter who is obsessed with Thor. 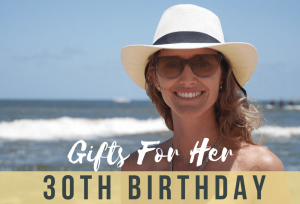 Her birthday is coming up in a few weeks and I was thinking about getting her something superhero related and this gave me a ton of ideas. 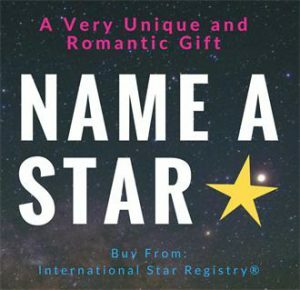 I didn’t even know that they made so many different types of Marvel gifts. I am seriously considering the “Avengers Word Art Print” for my daughter since she is also an artist and would really appreciate a gift like this. Thanks for such an informative and helpful post for us Marvel fans! I am a huge captain america fan and even have a fidget spinner of the shield (I know those are for little kids but I couldn’t resist because it was captain america!). I definitely geeked out when I saw the captain america clock and think I might get it to put in my man-cave. 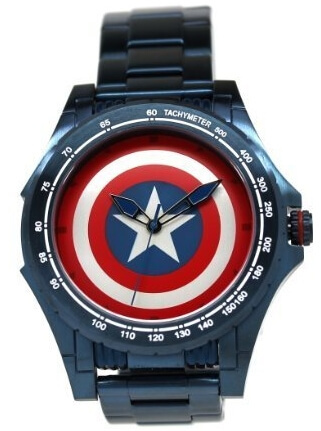 The Captain America watch looks great. 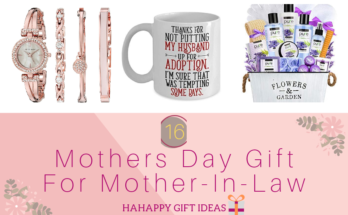 I am confident he will love it! 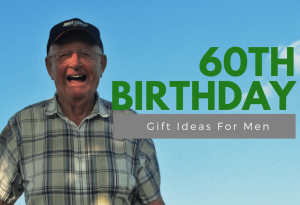 Is there a possibility to change to another product in case he doesn’t appreciate? 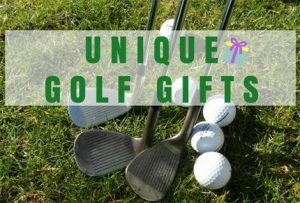 We don’t think you can change to another product, but you may return it according to amazon return policy, click here for more information. thanks. Wow, thanks for this post. I am not personally in the know about the super heroes but my nephew loves it, and so when i’m shopping for his birthday, Christmas and other holidays, I will definitely think of this post to decide what to get him. Personally I love the Spider Man cookie jar and the ugly sweater. 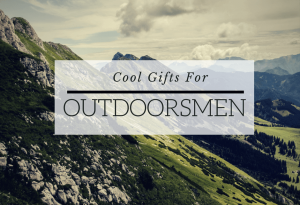 “How cool is that?”, that’s what I kept saying while checking out your gifts list for Marvel fans. 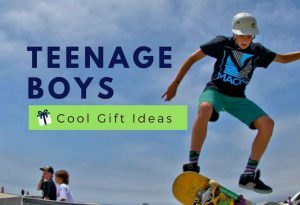 I started reading thinking I would only find suggestions for kids but – wow – there are some pretty amazing ones for not so young people like me. 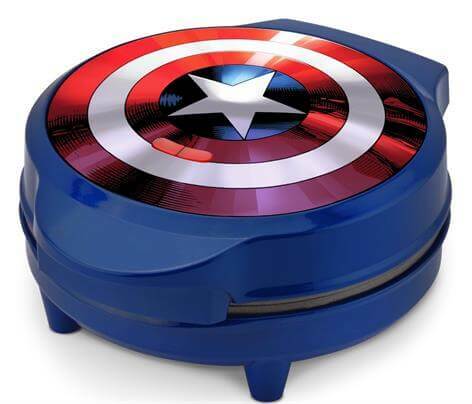 I especially liked the Marvel Captain America Shield Waffle Maker. It’s colorful, beautiful and super fun! Thanks for the great list. 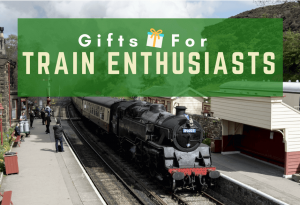 I’ll make to sure to come back here from time to time to get some gift ideas. Thank you for your positive comment and we’re glad that you like our picks.